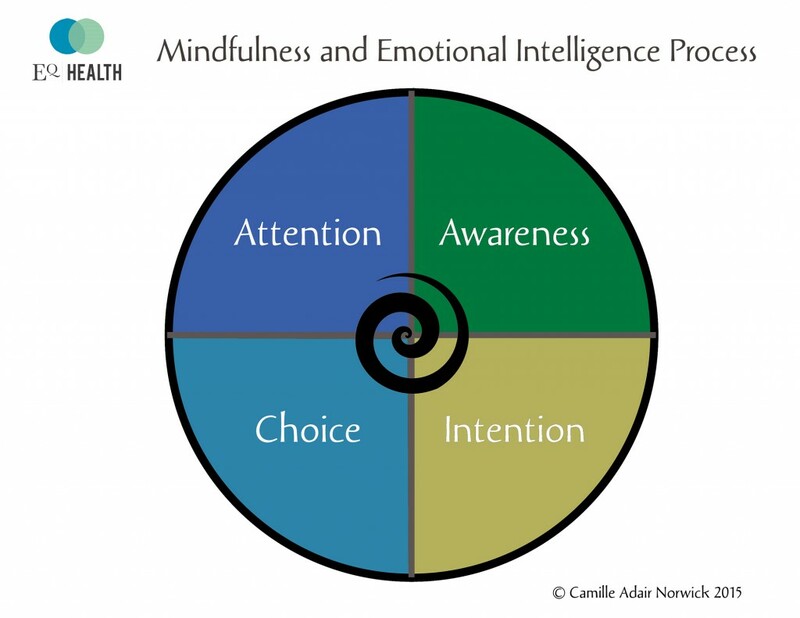 Camille helps her clients develop mindfulness through attention to the human senses in a non-judgmental approach, which connects us to our innate wisdom, resilience and healing potential.This is the first step in a mindfulness-based approach to emotional intelligence, followed by skills assessment and training to effectively combine thoughts and feelings in order to make better decisions and develop and sustain more mutually respectful relationships with ourselves and others. Emotional intelligence is a set of fundamental human skills that can be strengthened and becomes more permanent with practice. Skills that are foundational to emotional intelligence include self-awareness, empathy, optimism, intrinsic motivation and self-management. Work with Camille to strengthen your emotional intelligence (EQ) skills through mindfulness training and emotional intelligence tools, practice and coaching. Create better relationships at home and work. Make decisions that are reflective of your values and goals. Learn how to become an optimist and expand your choices. Recognize and work with your patterns and beliefs. Build resilience and stress management capacity. Improve organizational climate, retention and patient satisfaction through research-based methods. Join a growing community of people dedicated to growth and positive change as part of the greater good. Would you like to know more about mindfulness and emotional intelligence and my next EQ | Health Emotional Intelligence Training? Sign up and stay connected!